Wednesday, Nov. 4 is the last day for the public to register online for Churchill Downs Racetrack’s Nov. 10 online pre-sale of approximately 10,000 reserved seats to the 2016 Kentucky Derby Presented by Yum! Brands and the Longines Kentucky Oaks. If any seats remain after the Nov. 10 pre-sale, they will be available to non-registered fans starting Thursday, Nov. 12. The deadline to register online ends at midnight ET on Nov. 4, 2015. If you do not register, you cannot take part in the pre-sale and will have to wait until Nov. 12 to purchase any seats that are still available following the pre-sale. Registration is simple: go to www.KentuckyDerby.com/presale by Nov. 4 and enter your name, email address and zip code where requested. That’s all it takes to be eligible for the Nov. 10 pre-sale. Fans who register by Wednesday, Nov. 4 will receive an email on Monday, Nov. 9 with a link and instructions on how to access the pre-sale. When the online pre-sale opens on Tuesday, Nov. 10, registered fans will have a first-come, first-served opportunity to purchase up to six two-day packages of Derby and Oaks seats in locations throughout the track. Churchill Downs’ new partnership with Ticketmaster will make purchasing seats during the online sale straightforward and reliable. Fans will be able to securely purchase their tickets online and on mobile devices and be assured that the legitimacy of their tickets is guaranteed. Online and telephone customer service is available seven days a week, so fans will be able to get help with their purchases whenever they need it. The new design of www.KentuckyDerby.com will simplify the task of choosing and purchasing seats. Fans can visit the site to browse descriptions, photos and maps of the Kentucky Derby’s many ticket options to research their options before making a purchase. 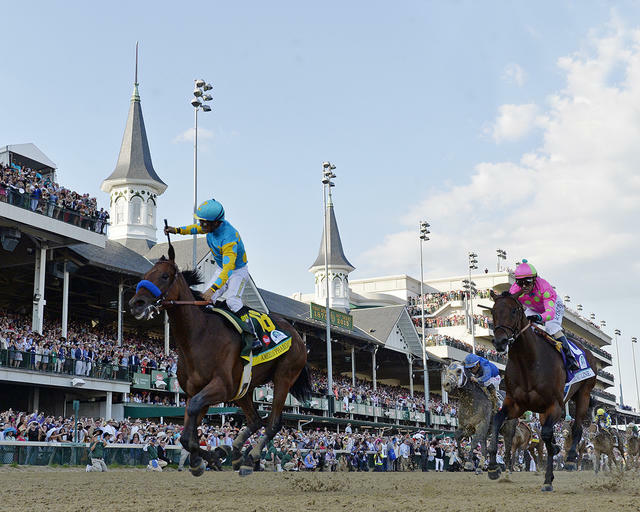 The first online sale of Kentucky Derby and Kentucky Oaks seating was conducted in 2010. It replaced an annual on-track ticket lottery during which many fans spent the night before the sale on the track’s grounds with the hope of being able to purchase tickets when the lottery sale began the following morning.